After months of waiting and a long list of rumors and leaks, Lenovo has finally released its amazing new smartphone “Vibe Z2 Pro”, the new smartphone is considered as a Phablet and it’s the most elegant smartphone in the market until now especially that it’s provided with a brushed metal structure. 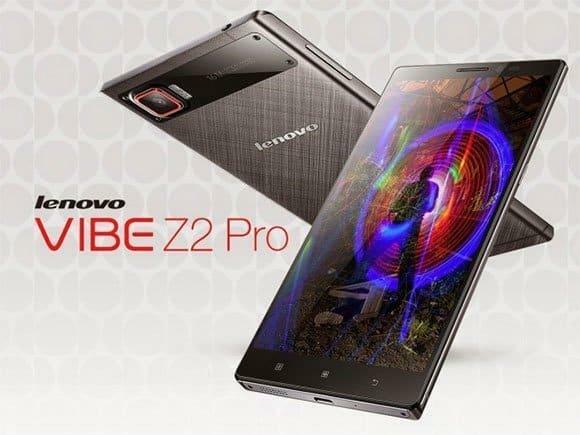 The Vibe Z2 Pro has 6-inch display with a resolution of 1440 x 2560 pixels (2K display) and 490 ppi of pixels density. You think this is not enough? keep reading, the Z2 Pro is provided with an IPS display for wide viewing angles. Lenovo’s new smartphone can easily compete the most popular smartphones like iPhone 5S, Galaxy S5 and HTC One M8 especially that it comes with a Qualcomm Snapdragon 801 2.5GHz Processor, 3GB of RAM and it’s provided with 32GB of Storage (You can’t add a MicroSD Card). For gaming, the Vibe Z2 Pro is provided with an Adreno 330 GPU which will give users the best gaming experience especially with its 6-inch QHD display. The phone also come with 16MP rear camera with optical image stabilization, dual LED and 4K video recording feature. The best part here is that this phone accept two Micro-Sim Cards which is very rare to find it in a popular smartphone. All these features need a large battery capacity, right? don’t worry, Lenovo provide its smartphone with 4000mAh battery which is the largest between all the smartphones in the market. The company will release its new smartphone in September which mean after just a month, in 3 colors (Black, White and Gold). The phone will be released for the first time in Russia with $834. Here i am making some quick key specifications, so it will be easy to check out this smartphone, whether it is upto the mark or not!